DAYTONA BEACH, Fla. — Daytona Beach is well-known for its white sand beaches, family vacations, and its reputation as the World Center of Speed, but golf is an increasingly vital part of the Central Florida oasis. The area’s popularity as a golf destination is enhanced by the package offerings of Homewood Suites, which is perfectly-equipped to host a foursome or two taking a golf buddies’ trip. The hotel offers studio and two-bedroom suites along with a complimentary, hot breakfast buffet each morning and cocktail hours each evening from Monday through Thursday. — The Hills Course at LPGA International was designed by Arthur Hills in 1997 and stretches out to 6,894 yards from the back tees. Hills created a layout with pine tree-lined fairways bordered by water hazards and marshland with small greens. There are five sets of men’s tees at the Hills Course along with three sets of women’s tees. It will be a challenge no matter which tees are chosen. — DeBary Golf & Country Club has been a U.S. Open qualifying site three times and been a U.S. Senior Open qualifying site, a testament to the quality of the layout. Designed in 1990 by Lloyd Clifton, DeBary was created from land that was once an orange grove and runs through a residential community. However, on most holes, houses are hidden by a buffer of trees and vegetation. DeBary plays 6,776 yards from the back tees. — Halifax Plantation Golf Club in nearby Ormond Beach was designed by Bill Amick in 1993. It plays through corridors of oak trees more than 100 years old intermingled with native pines. It’s a hefty 7,128 yards from the championship tees but there are four sets of men’s tees and two sets of women’s tees from which players at every handicap level can find a comfortable yardage. Homewood Suites enjoys an ideal location – it’s just yards from ONE DAYTONA, the area’s newest retail, dining and entertainment complex – making it an ideal spot for golf groups looking to have a good time on and off the course. 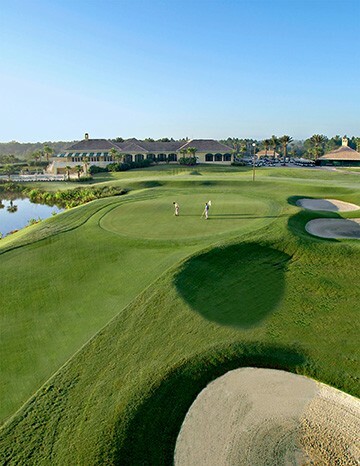 For more information on a Daytona Beach golf trip, visit https://www.daytonabeach.com/things-to-do/golf/. 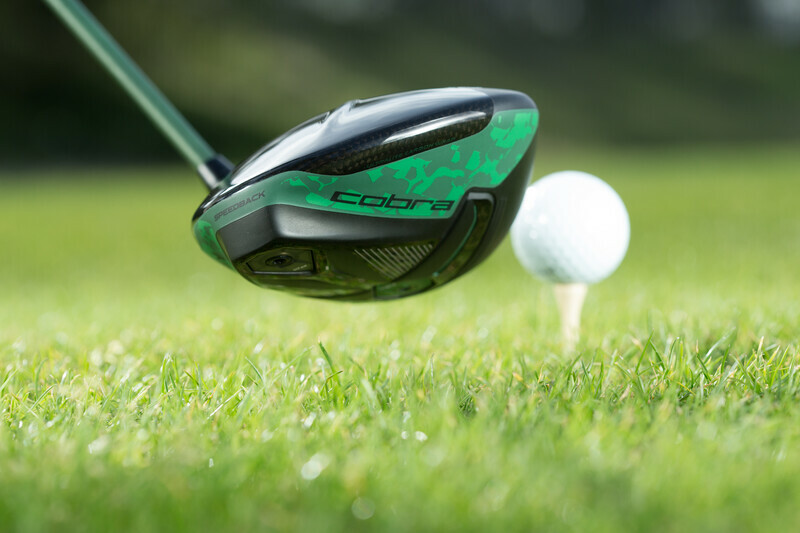 Cobra Golf today unveiled a new, special edition design of its esteemed KING F9 SPEEDBACK™ Driver designed to help golfers celebrate the first Major of the year. The KING F9 SPEEDBACK Special Edition Camo Driver features a one-of-of-kind custom camo aesthetic that matches the apparel script and custom COBRA x Vessel bag COBRA PUMA GOLF athlete Rickie Fowler will don in Augusta. This custom camo pattern blends the outlines of the United States and state of Georgia in a layered design for a sophisticated, fresh look on the course. Packed full of technology, the KING F9 SPEEDBACK Camo driver delivers the perfect combination of performance, sound and feel with a cool, camo look. The KING F9 SPEEDBACK Special Edition Camo Driver, which comes with a sleek COBRA Camo headcover, is equipped with a Project X Even Flow Blue 65g shaft in a one-of-a-kind military green colorway to match the driver (available in extra-stiff & stiff flex in the 9° loft, and in stiff & regular flex in the 10.5° loft). To round out the look, the driver features a Lamkin Crossline CONNECT black grip with military green accents. The new camo driver will be available beginning today and features a MSRP of $499. 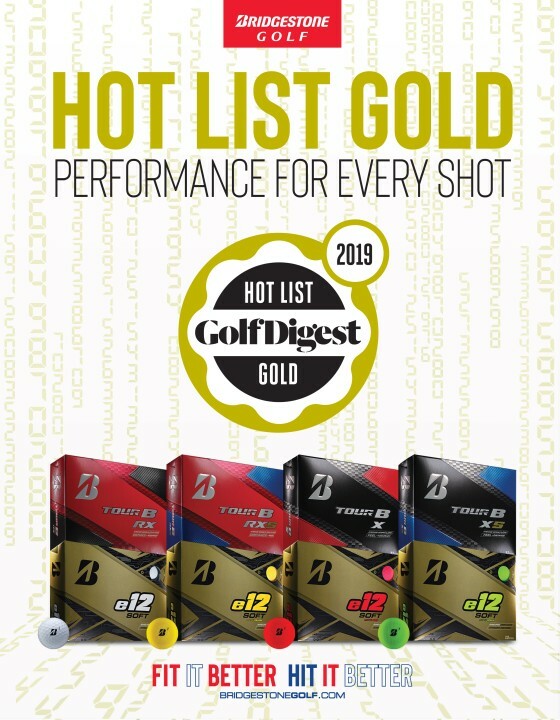 COVINGTON, Ga. – (April 2, 2019) – Bridgestone Golf, the #1 Ball-Fitter in Golf, announced today that 5 of its 2019 premium golf ball models received gold medal designation in the 2019 Golf Digest Golf Ball Hot List, including its ground-breaking, newly launched e12 SOFT golf balls. In the Over $35 category, Bridgestone’s award-winning TOUR B series (which includes four primary models – TOUR B X, TOUR B XS, TOUR B RX and TOUR B RXS) added to its trophy case with all 4 balls yielding Hot List gold. The TOUR B family, which replaced the company’s popular B330 line, provides golfers with exceptional feel, accuracy and distance. Bridgestone utilized the data from measuring more than 2.5 million swings in the R&D process to determine how specific design characteristics benefit different types of players. The fruits of this labor showed as Bridgestone’s TOUR B was the only golf ball family to earn 5-star ratings (the highest a product can get) in both the innovation and performance categories. In the $26-35 price point category, Bridgestone’s newly launched e12 SOFT took home gold as well. In fact, the e12 SOFT was 1 of only 2 surlyn covered balls to earn gold in the category. The new e12 SOFT builds off of the innovative 3-piece, surlyn construction of the popular e6 golf ball with an added dimension of power coming from the new active acceleration mantle layer. The e12 SOFT was unveiled at the 2019 PGA Merchandise Show to tremendous fanfare, which showed, as the ball earned the 2nd highest demand score in the mid-tier category. For more information on the company’s entire offering of golf balls and for help selecting the right ball for you, visit bridgestonegolf.com. Based in Covington, GA, Bridgestone Golf USA manufactures premium golf balls, clubs and accessories under the Bridgestone and Precept brands. The company started making golf balls in 1935 and today has more golf ball design patents than any other company. Beginning in 2006, Bridgestone revolutionized golf ball selection with its custom ball-fitting program, identifying a golfer’s ideal golf ball based on personal swing characteristics. Today, as the #1 Ball-Fitter in Golf, Bridgestone has conducted over 2.1 million fittings via a combination of live-fitting, online selection and its B-FIT App. The consumer data gathered from ball-fitting continues to inspire Bridgestone’s innovative new golf ball designs, yielding industry-leading performance products for the entire range of players, from recreational golfers to the best in the world. Bridgestone Golf is proudly represented on international professional tours by icons such as Tiger Woods, Fred Couples, Matt Kuchar, Bryson DeChambeau and Lexi Thompson. Bridgestone Golf USA is a wholly-owned subsidiary of Bridgestone Sports Co. Ltd., headquartered in Tokyo. More information: bridgestonegolf.com. The 18th Green At Caledonia. MYRTLE BEACH, S.C. — South Carolina is one of America’s most golf-rich states, and Myrtle Beach is the epicenter of the Palmetto State’s offerings, a fact reconfirmed by the South Carolina Golf Course Ratings Panel. The SCGRP recently released its biennial list of the “Top Courses for Public Play” and 13 of the 32 Palmetto State courses recognized reside along the Grand Strand. The SCGRP doesn’t rank courses by number, though Caledonia Golf & Fish Club was cited as the region’s best. Joining Caledonia on the prestigious list were the Fazio, Love and Dye Courses at Barefoot Resort, TPC Myrtle Beach, Grande Dunes Resort Club, Pawleys Plantation, Heritage Club, Pine Lakes Country Club, Prestwick Country Club, Tidewater and True Blue Golf Club. The 13th course honored by the panel was the famed Dunes Golf & Beach Club, a private facility that can be booked by select providers, including MyrtleBeachGolfTrips.com, the area’s premier trip planning and booking resource. The Myrtle Beach courses that made the SCGCRP list vary greatly, but the one common denominator they share is the ability to booked through MyrtleBeachGolfTrips.com. Caledonia’s spot atop the region was hardly a surprise. 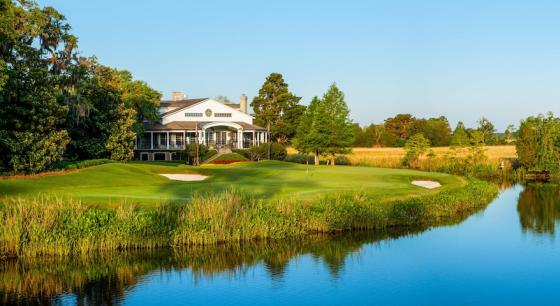 The Mike Strantz design is a consensus top 100 layout, showcasing the natural lowcountry beauty of Pawleys Island, where four of the state’s best are clustered within a Dustin Johnson drive of each other. Less than a mile from Caledonia are its sister course, True Blue, a layout renowned for the size of its fairways, greens and waste bunkers, and Heritage Club, a Dan Maples design that is home to some of state’s most daunting greens complexes. Pawleys Plantation is just minutes away and the back nine of the Jack Nicklaus design is one of the state’s most scenic. Six of the nine holes play along a tidal saltmarsh, highlighted by the unforgettable 13th, a par 3 that plays to a peninsula green. TPC Myrtle Beach, a Tom Fazio and Lanny Wadkins design that has been ranked among America’s 100 Greatest Public Courses, hosts the Dustin Johnson World Junior Golf Championship. Barefoot Resort is one of America’s premier multi-course properties. The Fazio Course, which hosted the championship match of Big Break Myrtle Beach, is a stern test while the Love Course, which features the faux ruins of an old plantation home on the front nine, will offer the chance to score. The Dye Course will host the Hootie & the Blowfish Monday After the Masters Celebrity Pro-Am for the 17th consecutive year this spring and traveling golfers enjoy the layout as much as the professionals and celebrities that tee it up there. Pine Lakes Country Club was Myrtle Beach’s first course and the layout continues to charm golfers more than 90 years after its opening in 1927. Grande Dunes, with seven holes that play along the Intracoastal Waterway, is on the short list of Myrtle Beach’s best. Joining Grande Dunes on any list of the area’s premier courses is Tidewater, which has eight holes that play along either the Intracoastal Waterway or Cherry Grove Inlet. Prestwick Country Club has long been one of the Grand Strand’s most underrated courses. The Pete and P.B. Dye design offers a stern test of golf and enjoys a reputation for always being in superb condition. For more information, visit www.MyrtleBeachGolfTrips.com.